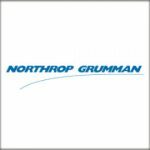 Northrop Grumman has invested an undisclosed sum to help expand the U.S. Naval Academy’s cyber, science, technology, engineering and math programs. The company and its philanthropic arm have also donated more than $21 million to support strategic priorities of USNA since 2001, Northrop said Tuesday. The Northrop Grumman Foundation is supporting USNA’s Cybersecurity Capstone Project this academic school year in an effort to help midshipmen identify and mitigate cyber vulnerabilities in navigation systems of the academy’s yard patrol boats. The company is also a sponsor of the academy’s annual Elmer A. Sperry Junior Navigator of the Year Award that recognizes a graduating student who has demonstrated exceptional navigating skills and knowledge. Last year, Northrop donated 135 Voyage Management System licenses worth $3.1 million to the U.S. Naval Academy Foundation for use in midshipman training. The VMS navigation software is currently or will be installed on more than 200 U.S. Navy vessels, submarines and education facilities, the company added. Northrop’s subject matter experts also offer expertise in technical and program execution to USNA systems engineering classes that participate in the annual Autonomous Underwater Vehicle competition hosted by the Office of Naval Research.